Did you ever wonder why your autosomal DNA and Y-DNA genetic match lists contain so many unfamiliar surnames? Did you ever question where the myriad number of bewildering and unexpected surnames, even among your close genetic matches, comes from? If you are Jewish, chances are that very few, if any of the Jewish-sounding surnames on your genetic match list will match your own. Is there a reasonable explanation for this phenomenon? To better understand the Jewish surname process, as it took place in the Russian Empire, a bit of history is in order. With the exception of prominent rabbis, affluent Jewish merchants, and the Sephardim, most Jews did not acquire surnames in Eastern Europe until the Napoleonic era of the late 18th-early 19th century. 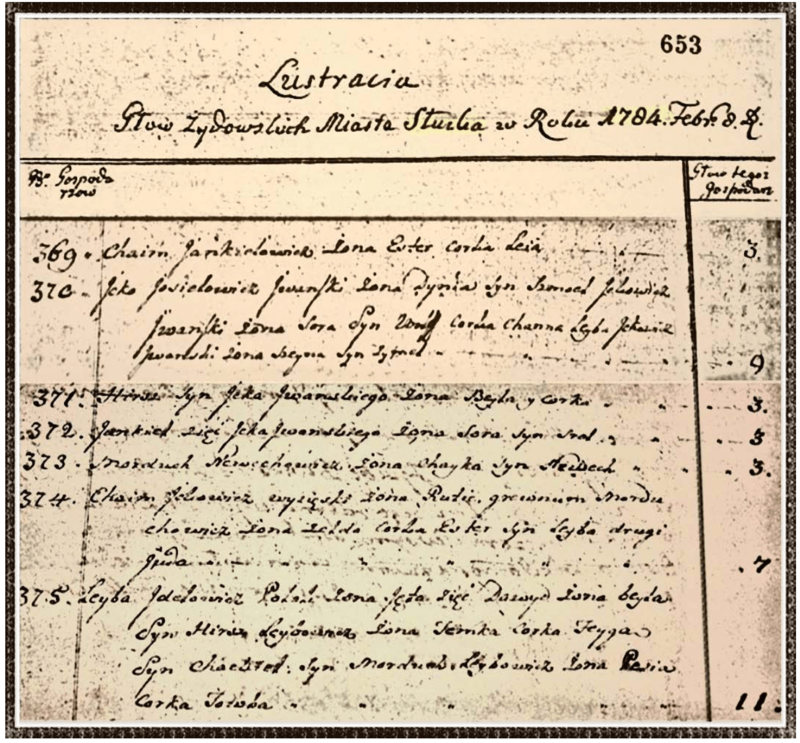 Due to the need to streamline tax collection and military recruitment procedures, Austria-Hungary (1787), the German states (1790), and the Russian Empire (1804) passed laws that obliged the Jewish population of these countries to adopt hereditary surnames. As a result of the Partition of Poland by these countries, which was home to more than 90% of all Ashkenazi Jews, the vast majority of modern Ashkenazi Jewish surnames date back precisely to this period. After the final Partition of Poland in 1795, and the Congress of Vienna, the Russian Empire acquired over two million Jews who did not use surnames. Shortly thereafter, Czar Alexander I’s edict of 1804 required all Jews living in the Pale of Settlement (the territory where Jews were permitted to live in the Russian Empire, encompassing modern Poland, Lithuania, Belarus, Ukraine and Moldova) to adopt permanent surnames. The manner in which Jews adopted or were assigned surnames took many forms throughout the Russian Empire. Under the czarist edicts, there were many ways in which Jews selected or received their surnames, and different areas and jurisdictions had different rules. However, there is one unique feature of the surname adoption process that helps explain why we see so many different Jewish surnames today, even among closelyrelated paternal lines, and that was the tendency for the heads of households to adopt unique surnames. The direct result of the Czars’ surname edicts and the ensuing Russian laws and regulations, was the adoption of different surnames by members of the same family, if they happened to live in different households, resulting in the creation of numerous subdivided family units of interrelated people having different surnames. It is not known with certainty if the requirement that all heads of households adopt unique surnames was uniformly enforced by the Russian authorities, or whether unique surnames were sometimes voluntarily adopted in an effort to avoid the harsh taxation and military conscription policies that were imposed on the Jews living in the Pale of Settlement. Most likely, it was a combination of both factors that resulted in the widespread adoption or assignment of unique surnames for families living in different households. Prior to 1827, according to a ruling by Czarina Katherine the Great, the Jewish community was not summoned to the army; instead they had to pay double tax. Taxes were based on the number of males in the household, which would have created a powerful incentive to divide families into smaller units by adopting different surnames. After 1827, according to a law issued by Czar Nicolas I, Jews were liable to conscription. Being drafted into the Czar’s army was a particularly onerous and menacing proposition for Jews in the Pale, and they tried to avoid the draft by “fiddling around” with their surnames; e.g., having boys registered as belonging to another family which had no sons, hiding sons from the census takers, and doing other things to make it difficult for the Russian authorities to find them. The creation of different and unique surnames among members of the same family who lived in the same household without surnames prior to the 1804 surname law, and in different households subsequent to the law, is demonstrated by the 1784 and 1811 Jewish censuses for the town of Slutsk. In 1784, Slutsk belonged to the Polish-Lithuanian Commonwealth; by 1811 it was part of the Russian Empire. Itsko passed away before acquiring an official surname prior to the previous 1795 census; otherwise he would have been mentioned on the 1811 census. The 1811 census shows the two sons from Itsko’s household, Shmoila and Leiba, who lived together in 1784, now living in different homes (households #72 and #184). As a result, they acquired their own distinct surnames – Brodskoy and Kraskov. The third son, Girsh, died in 1802 and did not have a chance to acquire his own surname. Hence, his family is listed in the 1811 census with no surname. His son, Khaim-Itsko, later acquired the Ivansky surname that was his father’s nickname in 1784. Leiba’s and his late brother Girsh’s families lived next door to each other in 1811 (households #183 and #184), and Leiba most likely helped to support Girsh’s wife and son. Leyba passed away before acquiring an official surname prior to the previous 1795 census; otherwise he would have been mentioned on this 1811 census. 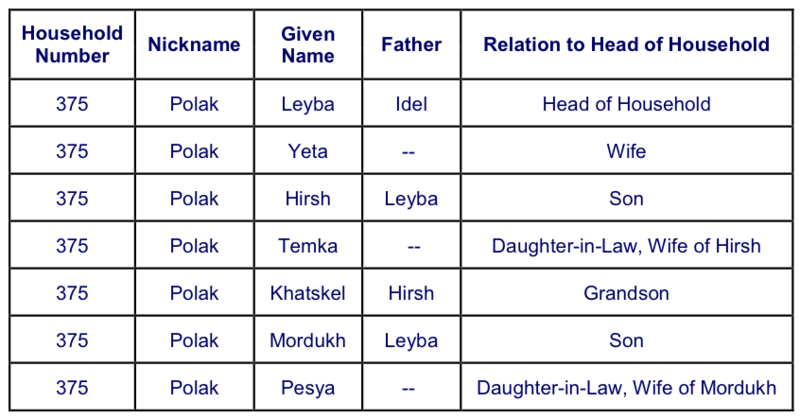 Sometime after 1804, his son Hirsh acquired the official surname of Polyak, which was derived from Leyba’s nickname. However, Leyba’s other son, Mordukh, acquired a different surname (Gurevits), because he was the head of a separate household. 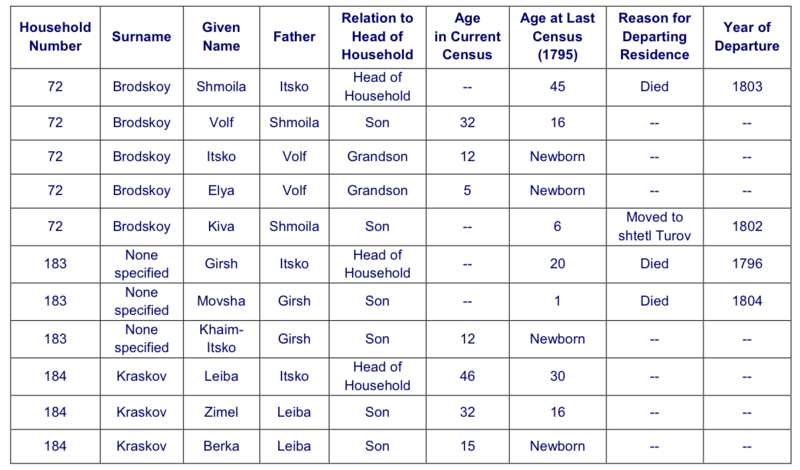 It is interesting to note that that Hirsh’s other three sons, Idel, Nokhim, and Zalman, were not mentioned at all in the 1784 census. They may have been hidden from the census official for tax reasons. All three sons acquired the same Polyak surname as their father. As illustrated by these examples, the direct result of the 1804 Jewish surname law was the creation of many distinct family units, each having their own unique surname, regardless of their previous familial relationships. This process was repeated in numerous Jewish towns and villages throughout the Russian Empire. Although no one knows the exact number, it is likely that this surname adoption policy resulted in the creation of many thousands of new surnames. The Russian Empire included the now-independent countries of Armenia, Azerbaijan, Belarus, Estonia, Finland, Georgia, Latvia, Moldovia (Bessarabia), Lithuania, Poland, Ukraine, and Uzbekistan within its borders. The inevitable consequence of the adoption of new surnames for individual, yet related heads of households on such a grand scale across such a vast empire, was the loss of familial contacts and connections between different branches of the family, especially during an era that preceded modern communications. This loss of familial contacts and connections between related family branches continued across the generations, and was magnified by pogroms, wars, the Holocaust, the destruction of Jewish records and cemeteries, and the mass migration of Russian Jews to America, historical facts which have obvious and important implications for Jewish genealogy as it is practiced today. There are two other important considerations in regard to the surnaming process in the Russian Empire. The first is in regard to surname types. Toponymic or place names were the most common type of Jewish surname adopted by Jews in the Russian Empire. The first Jewish toponymic names belonged just to representatives of authoritative rabbinical dynasties – Bachrach (from the town of Bacharach), Mintz (from the city of Mainz), and Shapiro from the town of Speyer. Due to the way in which toponymic surnames were later adopted, however, many unrelated people could end up with the same surname. Take, for example, two unrelated Jewish people from the town of Polonnoye. After the 1804 surname law, they may have adopted or been assigned the surname of Polonsky, meaning “from Polonnoye.” Their descendants would then all have the same surname, but would have no familial relationship to one another. The second important consideration are surname changes that occurred following immigration to the U.S. Between 1880 and 1924, it is estimated that as many as 3 million Eastern European (Ashkenazi) Jews came to the United States, of which the vast majority were from the Russian Empire. Many of these Russian-Jewish immigrants who arrived during this era, when nativism and anti-Semitism were running high, Anglicized or “Americanized” their foreignsounding surnames, further complicating the Jewish surname issue. Another 250,000 Jews emigrated from Russia between 1970 and the early 1980s, most of which chose the United States as their destination. The Jewish community in the United States is composed predominantly of Ashkenazi Jews and their descendants, comprising about 90% of the American Jewish population of approximately 5.3 million. The vast majority of these Ashkenazi Jews descend from Russia, or from now-independent countries that formerly belonged to the Russian Empire. In light of the above circumstances, it should therefore not be surprising that so many American Jews confront tremendous challenges in tracing their pedigrees, both through traditional and genetic genealogical means. The frequent adoption of different surnames by individual members of the same family in the Russian Empire during the early part of the 19th century resulted in the creation of numerous family units of related people having different paternal surnames. In addition to the Americanization of Jewish surnames, this may explain, in part, why so many closely-related Ashkenazi Jews with Russian ancestries have completely different surnames. This situation has greatly complicated their efforts to trace their ancestries, or to locate common ancestors with individuals with whom they may be a genetic match. Hereditary surnames contain information about relatedness within populations, and the general validity of the principle of associating Y chromosomes with surnames has been demonstrated in numerous studies. However, for the aforementioned reasons related to the Jewish surname adoption process in the Russian Empire, the usual assumptions regarding the association of surnames and pedigree often do not apply to the same extent for Ashkenazi Jews. 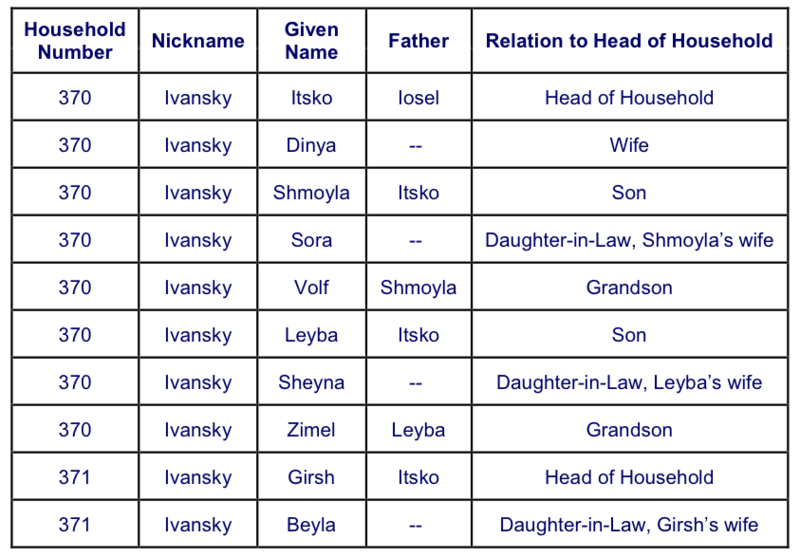 As a result of Russian surname laws and mandates, many non-related Jewish individuals acquired the same surname, while many related people acquired different surnames. Hence for Ashkenazi Jews of Russian ancestry, surnames may confer very little information regarding kinship. This situation has created many challenges and has placed many brick walls in the path for genealogists who try to trace the ancestry or locate descendants of a particular Jewish lineage, many of whom have different surnames, as well as for interpreting the different results of DNA tests for Jewish descendants, who are assumed to be related because they share a common surname. 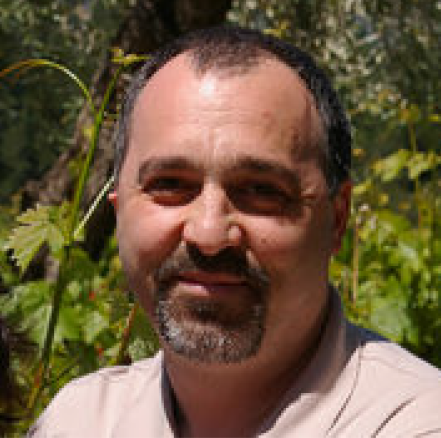 For the many Ashkenazi Jews who have tested their autosomal and Y-DNA only to be stymied by close genetic matches to individuals with unfamiliar surnames, the point is to refrain from assuming too much regarding relatedness, or non-relatedness, simply on the basis of paternal surnames alone. Unfamiliar surnames could be attributable to the surname adoption process that took place over two centuries ago in the Russian Empire, or they could relate to events that happened more recently, when Russian Jews immigrated to the United States, and Americanized their surnames. The diverse universe of Jewish surnames, combined with the lack of documentation regarding surname adoption, and the scarcity of vital records in the former Russian Empire, certainly makes Jewish genealogy more challenging and complex. 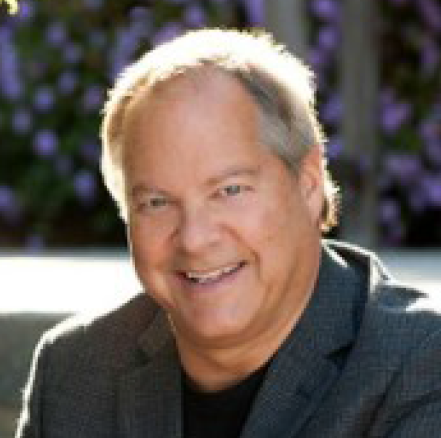 However, with an awareness of these surname issues, the appropriate use of genetic genealogical tools, sharing of ancestral information with genetic matches, collaboration with fellow genealogists, and a little luck, it is a challenge that can be met, and, in many cases, successfully overcome. JM Paull and J Briskman: “The History, Adoption, and Regulation of Jewish Surnames in the Russian Empire – A Review.” Surname DNA Journal, September 21, 2014. http://www.surnamedna.com/?articles=history-adoption-and-regulation-of-jewish -surnames-in-the-russian-empire. Wikipedia: “Jewish Names: Mass assignment of Names to the Jews at the end of 18th – the beginning of the 19th Century.” Translated from Russian. https://ru.wikipedia.org/ wiki/Еврейские_фамилии. Czar Alexander I: “Imperial Statute Concerning the Organization of Jews.” Article 32, December 9, 1804. Czar Nicholas I: “Imperial Statute Concerning the Organization of Jews.” Article 16, May 31, 1835. A. Pribluda: “The Names of the Jews of the USSR.” Jerusalem, 1993. Felix Kandel: “Russian Jews: Times and Events. History of Jews in Russian Empire” Editor Mark Kipnis, Gesharim Press, 2014. Valery Kadzhaya: “The Kantonists: The Road to Mogilev.” http://www.berdichev.org/the_kantonists.htm. Jewish Web Index: “Names – All About Them.” http://www.jewishwebindex.com/ Names.htm. 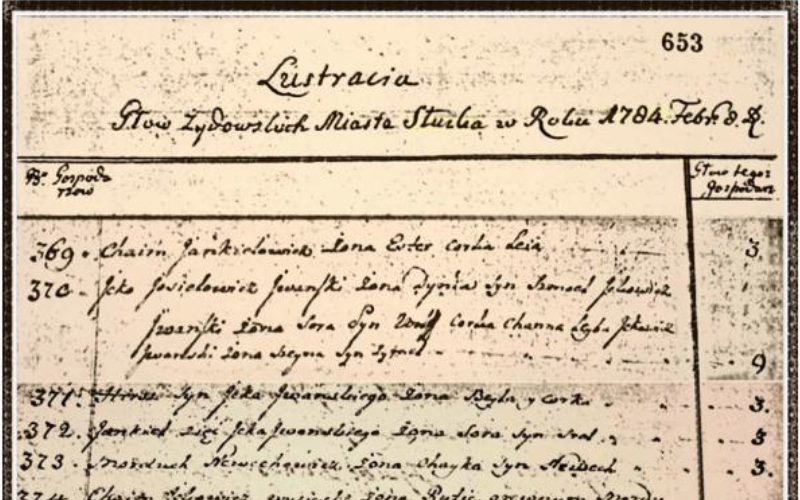 Lithuanian State Historical Archives, Vilnius: 1784 Slutsk Census, Grand Duchy of Lithuania 1784 Census/Poll Tax List, Fond SA 3754, pp. 653-669 (16 pages). Portions from two different pages from this census were composited into one image. Minsk State Archive, 1811 Slutsk Census, Fond 333, Inventory 9, File 266. The census data is presented in table form as photographic copies of the original census document were not permitted by the state archive in Minsk. Wikipedia: “Russian Empire.” https://en.wikipedia.org/wiki/Russian_Empire# Boundaries. A Beider: “Jewish Surnames Adopted in Various Regions of the Russian Empire.” Avotaynu Online, 2015. Adapted from a lecture delivered at the IAJG Conference in Chicago, August 18, 2008. Wikipedia: “Jewish Names.” Translated from Russian. https://ru.wikipedia.org/wiki/Еврейские_фамилии. Library of Congress: “Immigration – Polish/Russian: A People at Risk.” http://www.loc.gov/teachers/classroommaterials/presentationsandactivities/presentation s/immigration/polish5.html. JM Paull: “A Noble Heritage: The History and Legacy of the Polonsky and Paull Family in America.” Infinity Publishing, 2013. Pew Research Center: “How many Jews are there in the United States? News in the Numbers.” Michael Lipka, October 2, 2013. http://www.pewresearch.org/facttank/2013/10/02/how-many-jews-are-there-in-the-united-states/. MA Jobling: “In the Name of the Father: Surnames and Genetics.” Trends in Genetics, Vol. 17, No. 6, June 2001.